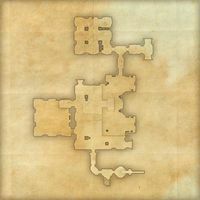 In the language of the Ayleids, the name of this ruin translates as "Soapstone Delve," but the locals around Chorrol know it as the Elf Haunts, and keep away from it. 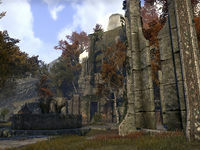 Lipsand Tarn is an Ayleid ruin in northwestern Cyrodiil, north of Fort Rayles containing vampires. Lipsand Tarn also appeared in Oblivion.